Destined for greatness . . . Four Clans of wild cats have shared the forest for generations, thriving in their territories. But tensions are running high, and ThunderClan must assert its strength or risk falling prey to its power-hungry neighbors. Into this time of uncertainty, a kit is born. A prophecy foretells that Bluekit will be as strong as fire, destined to blaze thro Destined for greatness . . . Four Clans of wild cats have shared the forest for generations, thriving in their territories. But tensions are running high, and ThunderClan must assert its strength or risk falling prey to its power-hungry neighbors. Into this time of uncertainty, a kit is born. A prophecy foretells that Bluekit will be as strong as fire, destined to blaze through the ranks of her Clan. But with this prophecy comes the foreshadowing of her destruction by the one enemy she cannot outrun. 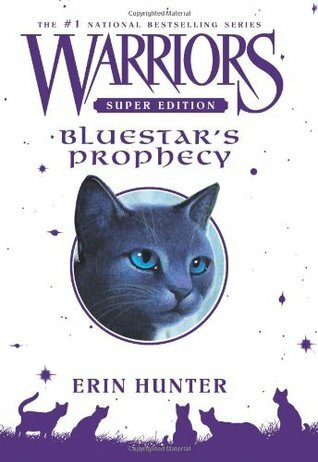 As Bluekit gains power and eventually earns her leader name, Bluestar, she fights to protect her Clan. But secrets from the past threaten to surface--secrets that may destroy ThunderClan . . . and Bluestar.